Last Game: This is the first game of the season for the Penguins. 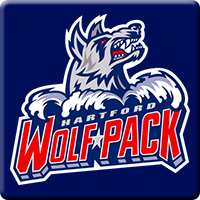 For Hartford, the Wolf Pack opened their season at home last night against St. John’s and won 6-3. 12 different Wolf Pack players recorded at least a point in the game. Why you should care: Penguins open their eighteenth season at home against the Hartford Wolf Pack. The Penguins boast a revamped defensive corps and have some firepower up front. Should be a good early test for both teams tonight in Wilkes-Barre. Other Game to Watch: How good are the Phantoms going to be? They kickoff their campaign at home against the new look Springfield Thunderbirds.